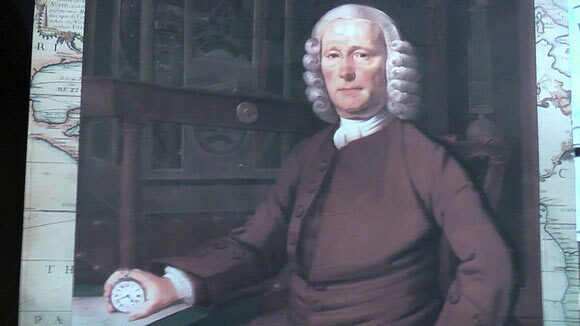 John Harrison was an English carpenter and clockmaker of the eighteenth century who solved the “longitude” problem by inventing the first practical chronometer to enable navigation at sea via the use of longitudes. Harrison was the first child in his family, born in West Yorkshire in 1693. His father was a carpenter who taught the craft to Harrison. Harrison had a fascination with clocks and built and repaired clocks along with carpentry. He built his first clock in 1713, at the age of 20. It was made out of wood, which was a common practice at the time. Some of his earlier clocks have been well preserved and they bear the inscription of his name. Harrison was a talented clockmaker and developed unique features for his clocks. At that time, the main problem faced by seamen during navigation was keeping accurate track of longitudes. Longitudes were vertical co-ordinates that encircled the globe and enabled accurate navigation at sea. The problem was, that at that time no specific mechanism or technology existed to accurately measure longitudes, due to which many ships were often lost at sea. In October 1707, the fleet of Admiral Sir Clowdisley Shovell was the victim of such a tragedy, causing a loss of the entire 2000 strong crew on board. The government was very concerned about these losses and Parliament passed The Longitude Act. According to this, a Board was set up to devise a solution and this was an offer of a prize money of £20,000 to the person who could invent a mechanism for accurately measuring longitudes and thus enable safe journeys for seamen. There were also other prizes for improvements to be made to the existing mechanism. Harrison, being a skilled craftsman, decided to produce the required apparatus and thus win the prize money. The condition was for the longitudes to be accurate up to 30 miles after a 6 week long journey to the West Indies. The generally accepted solution at the time was to estimate location based on time difference between point of origin and the new location. The problem was to accurately measure time at the new location as any existing clocks would be biased due to differences in temperature, pressure and humidity. The first model of Harrison’s chronometer was built in the 1730s and named H1. It took him five years to build and once it was completed it was demonstrated to the members of the Royal Society, who then presented it to the Longitude Board. It was sailed on a trial basis to Lisbon in 1736. Although the design was praised for its usefulness and unique features, it gave a result accurate up to 60 miles, which was not up to the standard required. Harrison did not win the prize money but was granted a sum of £500 for his effort. He subsequently designed improved versions called H2 and H3, spending seventeen years working on these models. He was granted a further sum of £500 but not the full prize money as his invention was never quite up to the required mark. He finally manufactured two further compact models called the H4 and H5 which were tested by the Board, and even found to be accurate, but nonetheless Harrison did not receive his prize money as the authorities kept insisting that his chronometer contained fundamental errors. Harrison was frustrated at this ill treatment and complained of the same to King George III. He was 68 years old at the time, had spent decades on perfecting his instruments and was confident of its success. The King listened to Harrison’s appeal and ordered the Board to re-test Harrison’s invention. His chronometer was then found to be accurate and the full prize money was awarded to him. In total, he received a sum of £23,065 for his work, which made him a multi-millionaire by today’s standards. Initially the costs of producing these chronometers were high, but over time production costs dropped and Harrison’s chronometers began to be more widely used in navigation. Harrison died at the age of 83 and was buried alongside his second wife and son William. Since his death he has been honored by numerous societies. His original timepieces have been preserved and are on display at the National Maritime Museum in Greenwich and the Clock Makers’ Museum in London.